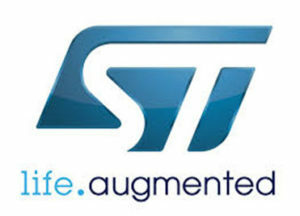 STMicroelectronics is an independent worldwide broad-range semiconductor supplier and it is ranked in the top ten semiconductor companies in the world with a turnover of 6.9 billion USD in 2015. ST has 11 main production sites, 7 Advanced R&D centers and 39 design and application centers, with more than 43600 employees over the world. ST is present in 35 countries with 79 sales offices. From energy management and savings to trust and data security, from healthcare and wellness to smart consumer devices, in the home, car and office, at work and at play, ST is found everywhere microelectronics make a positive and innovative contribution to people’s life. RF Products for Wireless Infrastructure applications. The broadband data boom and associated evolving telecommunication standards are calling for high-performing devices with ever increasing circuit complexity. New high data-rate services are driving the use of higher operating frequencies on optical and wireless systems, while requiring greater chip integration, reduced power consumption and optimized costs. New microwave applications such as Automotive Radars (24/77GHz), Satellite Communications, LAN RF transceivers (60GHz), Point-to-Point radio (V-Band/E-Band), Defense, Security or Instrumentation equipment are also extremely demanding of RF performance and operating conditions. To support this demand, ST is investing aggressively in BiCMOS technology that provides the optimal answer in particular in applications addressing the millimeter wave spectrum range also beyond 100GHz.